When people think Volkswagen, they most likely think quality, efficiency and athleticism. They’ll also probably think of the Beetle. 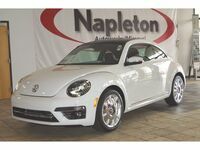 As one of Volkswagen’s more recognizable cars (and the inspiration for the game of Slug Bug), the Beetle has undergone a few changes while still maintaining the look that everyone knows and loves. 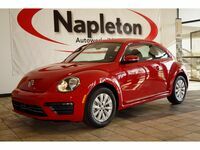 The 2015 Volkswagen Beetle in Springfield MO has kept the classic shape, while adding a few modern extras to the mix. With a 5-star safety rating, incredible features and great fuel efficiency, this bug has come a long way from its first design in the 1930s. 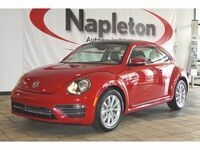 The 2015 Volkswagen Beetle is available as either a coupe or a convertible. Once you’ve chosen your exterior style and move in, incredible features become apparent. One of the most impressive aspects of the new Volkswagen’s interior is that it offers an ample amount of space to help ensure the comfort of drivers and passengers. 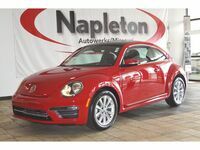 For those that are interested in the technology of vehicles, the 2015 Beetle offers several options. Available USB port, Bluetooth capabilities and upgradable navigation system will wow just about anyone who loves their technology. On the Coupe models, there is an option for a sunroof, so that you can enjoy the fresh air while you’re cruising around in your 2015 Beetle. As the auto industry ups its ante, it’s apparent that cars are becoming more gas-friendly. This year, Volkswagen took the initiative to offer their customers the efficient diesel engine. 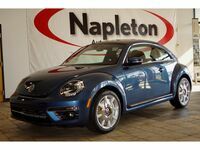 Available on the 2015 Volkswagen Beetle, the diesel engine offers drivers an impressive fuel rating. Most of the 2015 Beetles will get an efficiency rating of about 24 in the city and 32 on the highway. However, there are ways to increase the efficiency, should owners want to challenge the new Beetle even further. In addition, the fuel tank holds about 14.5 gallons of fuel (more than you would expect), which means that you may be frequenting your local gas station a lot less!